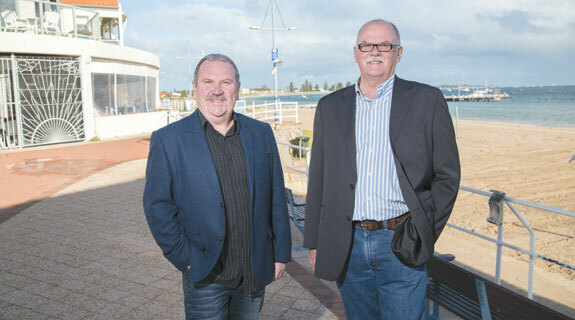 NEW LIFE: Barry Sammels (left) and Andrew Hammond are keen to facilitate high-density development at Rockingham Beach. Photo: Attila Csaszar. The City of Rockingham is advancing plans for a major redevelopment of its foreshore, opening the door for high-density residential and commercial development on the beachfront.